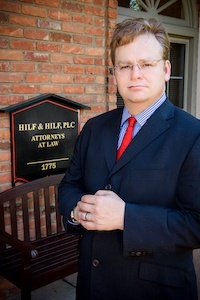 As a Top 100 Lawyer (according to the American Society of Legal Advocates), a Top 10 Attorney in 2013 (according to the National Academy of Criminal Defense Attorneys), and a 2014 Top 100 Trial Lawyer (according to the National Trial Lawyers), Daniel Hilf solidified his reputation and the acknowledgment of his exceptional ability within the legal community. 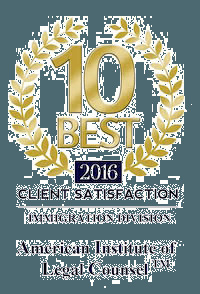 Avvo currently lists Daniel Hilf as a superb lawyer, and has given him their highest rating of 10.0 in the areas of experience, industry recognition, and professional conduct. Oakland County Circuit Court ascribes Daniel Hilf’s criminal defense credentials as a level 1 capital offense attorney, and he is selected to serve as a mentor to new criminal defense lawyers. He has lectured other criminal lawyers on multiple occasions before the Oakland County Bar Association as a guest speaker. In 2013 Aspatore Books approached Daniel Hilf to contribute to their Inside the Minds series (“featuring partners from some of the nation’s leading law firms”), which resulted in the publication of a book chapter entitled “Best Practices for Jury Selection: Connecting with Jurors in Criminal Cases”. Attorney Daniel Hilf and his wife, Attorney Sufen Hilf, appeared together on the “Street Beat” television program offering their perspective concerning Immigration and Naturalization law issues for the CW50 network in Detroit. 2013 Aspatore Books Inside the Minds publication “Best Practices for Jury Selection: Connecting with Jurors in Criminal Cases”. The cases Daniel Hilf handles range in severity from misdemeanor offenses (such as traffic offenses, retail fraud, domestic violence, etc.) to life maximum felony offenses (such as armed robbery, criminal sexual conduct, major controlled substance violations, etc.) and everything in between. Daniel Hilf has appeared on numerous occasions before District, Circuit, Juvenile, Family, and Appellate Court Judges throughout the State of Michigan, and as a skilled criminal defense attorney he has fought and obtained not guilty verdicts, dismissals of charges, and charge reductions on many occasions. He has represented people from all walks of life including: professional athletes, alleged organized crime figures, business leaders, police officers, politicians, laborers, housewives, students, etc. His legal career is distinguished by an ability to think on his feet, effectively analyze issues in both conventional and unconventional ways, and to persuasively react against the arguments and challenges presented by prosecutors, police, witnesses, and alleged victims. Since 1996 Daniel Hilf became licensed as an attorney and has consistently remained a lawyer in good standing with the Michigan Bar Association. He is also admitted to and does practice before the United States District Court for the Eastern District of Michigan concerning federal criminal law matters. In 1996 Daniel Hilf received his Juris Doctorate from the Detroit College of Law (now Michigan State University), and completed his Bachelor’s degree in 1991 from the University of Michigan, Ann Arbor. While in law school, Daniel Hilf served with distinction as the chief judicial law clerk for the Honorable Steven N. Andrews of the 6th Circuit Court of Michigan. “There is no greater hardship than to be deprived of your family and your freedom. The quality of lawyer that stands beside you often makes all the difference. When the government – the prosecutors and the police with all of their power and resources – chooses to act against you, you need the help of an experienced criminal defense lawyer. I have the experience, talent, and confidence to fight for you to obtain the right result. I will make a difference”.